Muscle mass and strength may protect against type 2 diabetes as a sink for glucose disposal. In randomised controlled trials, resistance training improves glucose metabolism in people with the metabolic syndrome. Whether increasing muscle mass and strength protects against diabetes in the general population is unknown. We assessed the effect of markers of muscle mass and strength on diabetes and glycaemic traits using bi-directional Mendelian randomisation. Inverse variance weighting estimates were obtained by applying genetic variants that predict male lean mass, female lean mass and grip strength, obtained from the UK Biobank GWAS, to the largest available case–control study of diabetes (DIAbetes Genetics Replication And Meta-analysis [DIAGRAM]; n = 74,124 cases and 824,006 controls) and to a study of glycaemic traits (Meta-Analyses of Glucose and Insulin-related traits Consortium [MAGIC]). Conversely, we also applied genetic variants that predict diabetes, HbA1c, fasting glucose, fasting insulin and HOMA-B to UK Biobank summary statistics for genetic association with lean mass and grip strength. As sensitivity analyses we used weighted median, Mendelian randomisation (MR)-Egger and Mendelian Randomization Pleiotropy RESidual Sum and Outlier (MR-PRESSO) and removed pleiotropic SNPs. Grip strength was not significantly associated with diabetes using inverse variance weighting (OR 0.72 per SD increase in grip strength, 95% CI 0.51, 1.01, p = 0.06) and including pleiotropic SNPs but was significantly associated with diabetes using MR-PRESSO (OR 0.77, 95% CI 0.62, 0.95, p = 0.02) after removing pleiotropic SNPs. Female lean mass was significantly associated with diabetes (OR 0.91, 95% CI 0.84, 0.99, p = 0.02) while male lean mass was not significant but directionally similar (OR 0.94, 95% CI 0.88, 1.01, p = 0.09). Conversely, diabetes was inversely and significantly associated with male lean mass (β −0.02 SD change in lean mass, 95% CI −0.04, −0.00, p = 0.04) and grip strength (β −0.01, 95% CI −0.02, −0.00, p = 0.01). Increased muscle mass and strength may be related to lower diabetes risk. Diabetes may also be associated with grip strength and lean mass. Muscle strength could warrant further investigation as a possible target of intervention for diabetes prevention. The online version of this article ( https://doi.org/10.1007/s00125-019-4826-0) contains peer-reviewed but unedited supplementary material, which is available to authorised users. 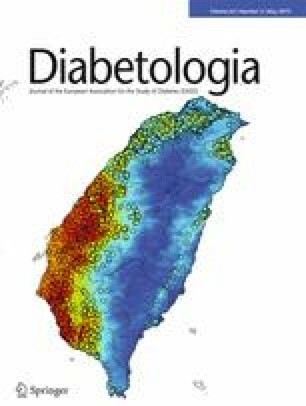 Data on diabetes have been contributed by DIAGRAM investigators and have been downloaded from http://www.diagram-consortium.org. Data on glycaemic traits have been contributed by MAGIC investigators and have been downloaded from www.magicinvestigators.org. CHCY conducted the literature review and the analysis and drafted the manuscript. SLAY, CMS and SSMF conceptualised ideas and designed the study. SLAY and CMS directed the analytical strategy and supervised the study from conception to completion. SLAY, CMS and SSMF revised drafts of the manuscript. All the authors contributed to the interpretation of the data, critically revising the paper and approval of the final version. CHCY is the guarantor of this work.